At Monterey County Eye Associates, we strive to offer a comprehensive range of eye care treatments designed to address the unique vision needs of patients of all ages, from the pediatric to the elderly. In addition to providing treatments for eye diseases and disorders, we offer treatments for eye injuries, ranging from the minor to the severe. At our eye care clinic in Monterey, eye injury treatments of the highest standard are available to restore your precious eyes to their optimal health. Remember that, when it comes to your vision, there is no such thing as being too careful. An injury to your eyes should never be dismissed as being “nothing to worry about,” especially if you experience a change in your vision or visible damage to one or both of your eyes. It is better to err on the side of caution and have your eyes examined than to risk permanent damage to your vision. In the following blog post, we will discuss some of the more common causes of eye injuries. If you or someone you love has experienced any of these or any other causes of eye injuries, we encourage you to seek treatment right away. Trauma to the eye: A blow to the eye, whether it comes via a fist, an elbow, a ball, or a blunt object, can cause serious damage to the eye and the protective socket in which it is housed. Chemical exposures and burns: Exposure to acids, alkaline substances, and aerosols can cause severe and even permanent damage to the eye. Corneal scratches and abrasions: These often occur among children due to roughhousing, as well as among active children and adults while participating in sports or hiking where there are low-hanging branches. Getting foreign objects in the eyes: Especially when not wearing protection and working with wood or metal, foreign objects can enter the eyes and cause damage. Penetrating injuries: During accidents, glass and other objects can penetrate the eyes and cause serious damage. Exposure to radiation: For example, overexposure to ultraviolet light from the sun can cause damage to the eyes. 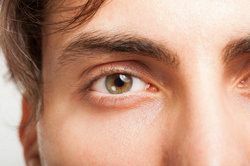 If your eye has suffered obvious damage - for example, if it has become dislodged from its socket - do not hesitate for even one moment to seek medical attention. To learn more about the causes of eye injuries, please contact Monterey County Eye Associates today.